Gas prices generate more heat in the households, than cooking the intended meals. There are around 4.5 million households in Sri Lanka that use either gas or firewood to light up their home fires to prepare the day's meals. Many homes are small confined spaces that house many householders. In the rural Sri Lanka, people fell trees to supply the demand for a cheaper source of fuel. But firewood smoke poses many health hazards for them. Innovating an alternative practical solution to outsmart an issue facing our society today, was foremost in my mind. As a result of much research and experiments, EZ Turbo Stove, was launched and the response from householders has been tremendous, said Riyad Ismail, a young inventor turned entrepreneur, who walked into Sunday Observer, business, to tell us his success story. The research data pointed out that the cost per month for LPG is almost 10-20 per cent of an average householder's monthly earnings in Sri Lanka. 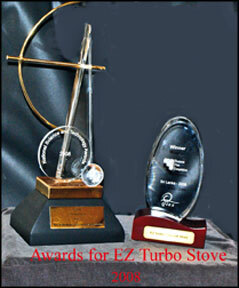 The benefits to the EZ Turbo Stove users are many. Charcoal maybe used as primary fuel but can also use coconut shell, wood chips, saw dust as substitute fuel. The householder enjoys savings up to 60 per cent compared to LPG, which is a boon to the economy. No smoke, odors, toxic fumes and leaves little ash when charcoal is used; therefore no blackening of utensils. The EZ Turbo Stove is multifaceted in that it can cook, boil, fry, steam, grill and BBQ and has the provision to use multiple size cooking utensils. 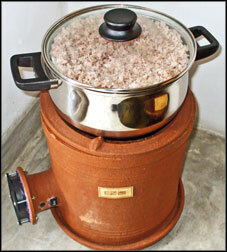 The most useful factor is that it cooks in almost half the time than LPG. Rice cooks in about 4 to 5 minutes. He reminded that a gas cylinder burst in a household recently causing much damage and assured that, especially with children around, with the EZ Turbo Stove, it can never happen. 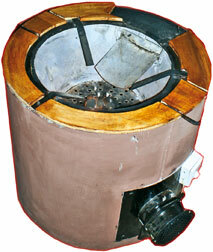 Turbo Stove promises efficiency and is economical. Being easy to light and wind resistant, this cooker is easy to clean and tidy. It guarantees durability and is long lasting. It requires absolutely no maintenance or repairs. While being portable and safe to use, the fuel is self contained, does not require external canisters/cylinders etc. which is space saving for today's homes and apartments with limited space. Affordability is key here where one gets to purchase fuel even in small quantities to suit one's cash flow. Equipped with an economical 12 VDC and a 2 speed fan for clean burning and temperature control, this innovative gadget offers variable temperature which the regulator helps modulate. Electricity costs only 4 cents per hour to operate this cooker. There is a 6 month-warranty for the electronic switch gear. A comparison study was conducted to ascertain the cost spent on fuel when cooking with LPG gas. A comparison study was also conducted to ascertain the cost when cooking with EZ Turbo Stove. Efficiency, convenience and user-friendliness are high with the EZ Turbo Stove in comparison to conventional wood open fire place and other average products in the market. LPG and kerosene cookers rate high when it comes to cost of usage. The EZ Turbo is designed to suit the aspirations of common people, he said. His sales staff makes it a point to demonstrate how it works to prospective buyers before a sale. When one considers the macro benefits of the invention it serves many salient purposes. It empowers village communities in developing a new product line in pottery and lifts the charcoal industry. It also protects our environment and help balance our ecology. It will also save valuable foreign exchange by curtailing LPG imports to Sri Lanka. It will eliminate the health risks, mitigating respiratory and eye infection due to minimal indoor air pollution. We are looking at expanding to meet the needs of the industries, corporate entities, hotels and restaurants and have designed an industrial EZ Turbo Stove to satisfy their demands with wall fixing switch gear and controls. An industrial unit can prepare 50 to 60 portions and the best news is that it saves 80 per cent off cooking costs. Already 15 to 16 units have been sold. These units serve a valid purpose at refugee camps, hotels, schools, food-based industries and canteens. These units can be designed around client requirements. Whether the need is to make koththu or hoppers or deliver hot off the stove as a mobile eatery, we are in a position to meet personalized requirements, said Riyad Ismail who won the Presidential Award 2008 for Science and Technology, for his innovation, EZ Turbo Stove. 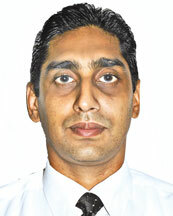 Riyad is a product of S. Thomas' College, he holds an MBA from the Post Graduate Institute of Management, Sri Jayewardenepura University and a BSc. in Biological Science from the Colombo University. He is also a fully qualified Accountant from the Chartered Institute of Management Accountants (CIMA). He furthered his knowledge with a Diploma in Strategic Management from the University of Cambridge and obtained a Certificate in Strategic Negotiation and Decision Making from the Harvard University. He is also an Engineer, with a Diploma in Diesel Engineering. He confesses he has a passion for life-long learning. Barclays became the first local company to get a Personal Computer certified on Windows Vista. They recently obtained "Certified for Windows Vista" logo on one of their Megabox brand of computers, staying true to their promise of delivering 'quality' to their customers. The 'Certified for Windows Vista' logo is a compatibility designation for programs and devices that have passed a rigorous testing program on computers that are running Windows Vista. The technical requirements for this designation target four core areas: reliability, security, compatibility with Windows Vista. It ensures that the certified hardware meets technical requirements for superior experiences with photos, music, videos, games and online communications and can automatically download device driver updates from Windows Update, and install easily. The customer has always been the important ingredient in our company, it is our responsibility that we make sure to give the best at all times. After all, if not for the customer we would not be where we are today, said F. M. Naleem C E O Barclays Computers (Pvt) Ltd.
For a local PC brand to compete successfully in the very competitive PC market, consistent investment in the brand and commitment to prove a quality service to the customer is of absolute importance. By obtaining Vista Logo Certification on a Megabox model, Barclays shows that quality is a well thought of strategy in the company, and that they are committed to provide products of a high standard to customers', said Ms. Jinashri Samarakoon, Director OEM, Microsoft Sri Lanka PVT Ltd. Barclays, in its endeavour to offer only the most reliable components to its customers ensures that every Megabox Personal Computer will be installed with the reliable Windows Xp or Vista range of Operating Systems. Packaged with free web updates and assistance, the genuine Windows operating system enables the consumer to experience a trouble free computing experience, actually even saving money for the consumer by actually preventing faults that could occur during day-to-day online activity. With over 15 years of experience in the local IT industry, Barclays Computers (Pvt) Ltd has surpassed many a milestone during its existence in Sri Lanka. Launching the Megabox, Barclays was a pioneer, locally assembling a reliable and feature packed computer packaged with one of the best after sales services in town. Barclays was also the first to offer CD-ROM Drives with the Megabox, and later the first to offer DVD Writers with the Megabox, Barclays has always been in the forefront breaking ground and bringing the latest technology to its customers. Progressively growing, Barclays Trading is dedicated to ensuring the consumer receives the best products and services available in the IT Industry.